We are on Day 5 of the Super Sequels Giveaway hosted by Mayandree Michel. 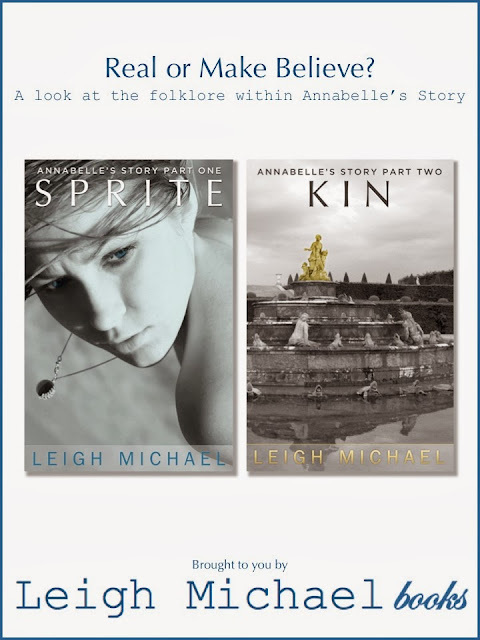 Today we have Leigh Michael with her books Sprite and the sequel Kin of Annabelle's Story. Reviews for both books coming soon - but they are good!! I promise! Be sure to visit Mayandree's site to enter the GIVEAWAY. Ample amounts of research went into writing Annabelle's Story, especially relating to mythology and folklore. Download the PDF below (just click on the image) for a glimpse into what was "real" and what was "make believe." Keep in mind, "real" simply meant based on research. And of course, this list doesn't include all the hidden gems in Annabelle's Story. Thanks for the post, Amber! I'm looking forward to reading your thoughts on Sprite & Kin. I'm about 80% of the way through Promises. I'm already looking forward to devouring books two and three!